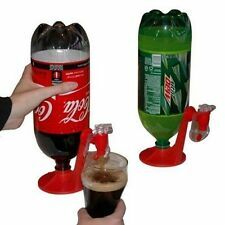 They look great mounted on your bar or counter top and function just as those do at your favorite bar. 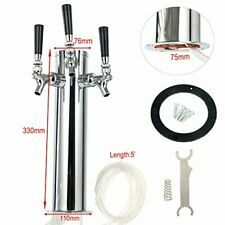 1 x Draft beer tower with 2 hoses. 2 x Faucet. Tower Heigth: 330mm. 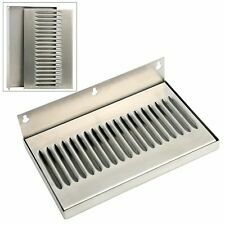 Material: Stainless Steel Plastic. Trending at C $79.95eBay determines this price through a machine-learned model of the product's sale prices within the last 90 days. With cover cap for the pourer, close when no use. Suitable for standard wine bottle necks. Apply to all kind of bottle mouth. co2 regulator beer Guinness/stout faucet. Condition is Used. Shipped with USPS Parcel Select Ground. 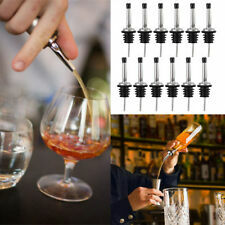 The wine decanter stopper is a cool new all-in-one multi-function tool for sealing and preserving a bottle of wine. This stopper also can apply to all kinds of seasoning sauce or wine of dumping. Material: stainless steel. The machine is immaculate condition with little to no signs of wear. 4pcs Reusable Coffee Filters K Cups Pod Keurig 1.0 Brewers Universal Fit. 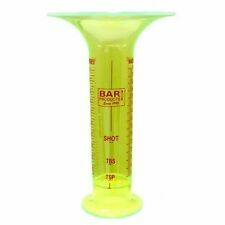 Widely use: Used as bar pourer for liquor bottles or as oil pourer for olive oil and vinegar dispenser bottle. Rubber cork sealing for various sizes of bottle. This long rubber pourer covers acts as a barrier to fruit flies and other pests. Early 1900's, H.P. Chandlee Sons Co.
1x Draft Beer Faucet. Water Pump. Exquisite design, furnishings generous, civilized health, ease of use, ready to drink. Size: 13.5x15.2cm. 100% New and high quality. We expect 100% perfect"Five-Star " scores from you. The Seaco Rubino SG 200 E (Espresso) is a completely automatic, latest generation, table top coffee brewing and vending machine. 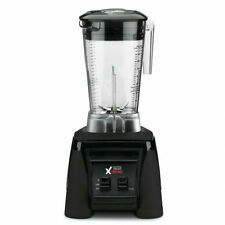 Rated highly for fast drink service, low maintenance and supply costs, and overall rugged construction. Red Belt Stanchion kit with Signboard. Retractable belt stanchions are widely applied in shopping centre, hotel, bank, hospital, station, airport, supermarket, theater, etc. 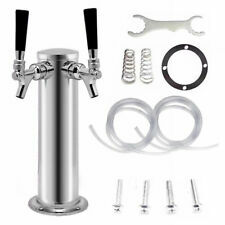 Commercial Draft Beer Kegerator with a one-tap stainless steel beer tower. Brand new. This kegerator meets the highest standards for commercial kegerators. 1.01.305.05/PA ULKA. I will do the best to have a solution of the problem and to suggest the correct part for you. water temperature max 25°C. Part number Manufacturer. Part Number: 2102265. Axiom 35-3T only 2 years old, perfect working condition. This is the latest version of Bunn equipment on the market. Asking $400 or B/O. Chang Beer Thailand Bar Change Rubber Spill Mat 6" x 23.5"
Top quality towers are chrome 2 faucet with insulated 3/16th all stainless steel beverage lines, which include the faucets and medallions. Will easily connect with your existing equipment. Towers are all new and in their original boxes! 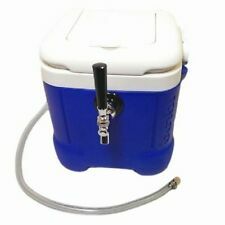 Comes with stainless steel 3/16th lines to connect with your equipment, perfect for your bar, restaurant, brew pub, whatever your set up may be. 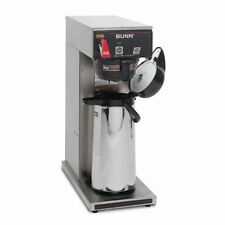 Stainless Steel Air Pot Beverage Dispenser SR-AG38~ 1 Gallon 3.8 Liter EUC!